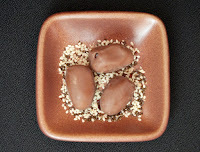 Welcome to Day #3 of A Series of Sesame Chocolates. 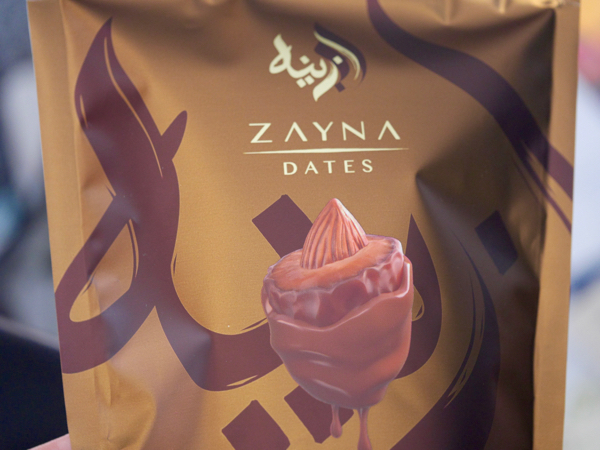 Today's Zayna Dates (Milk Chocolate) were made by Signature Snacks LLC (Dubai, United Arab Emirates), and were one of several dessert tapas arranged on small plates. Zayna Dates were created, according to the description on the packaging, after "world-renowned Suisse Chocolatiers visited Mediterranean regions" in the 1990s. 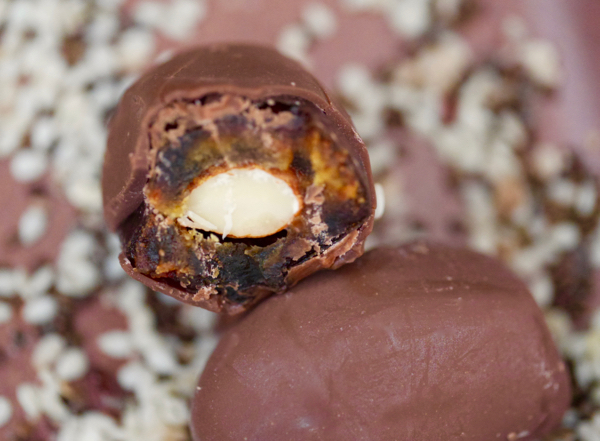 Long story short, sweet, rich, hand-picked dates were stuffed with a roasted almond and covered in milk chocolate. 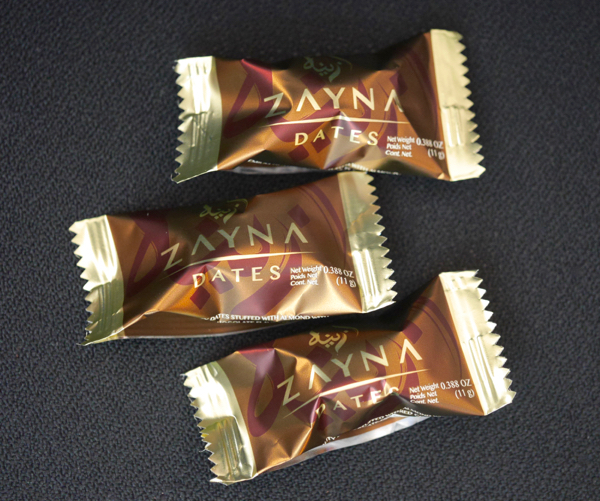 I have to agree, after tasting today's dates, this is a winning combination. 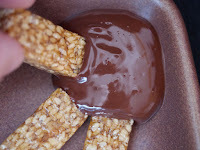 And, consistent with a Mediterranean dessert tapas theme, other items included sesames seeds, nuts (almonds, walnuts, pistachios), pieces of sesame rice cakes, and Joyva Sesame Crunch candies, and melted chocolate (fondue). What chocolate paired best with sesame items? I tried pairing sesame candies and seeds with two very different chocolates: one bright, fruity and complex Venezuelan chocolate, and one deeper, darker, slightly earthier and African chocolate. The Venezuelan choice was a great chocolate, but was a little too acidic and bright for this pairing. And the latter African chocolate was a little too dark (78 percent cacao) and "dull." 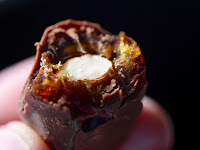 A nuttier 70 percent chocolate that was in between these two extremes, or perhaps a 65 percent dark milk bar with chopped almonds might be a good fit.